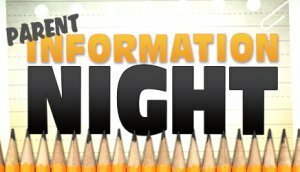 Parents and their students are invited to attend an informational meeting to learn about the transition to the high school. This year’s event will be held in conjunction with our student-led conferences. You will have the opportunity to learn about your student’s progress throughout 8th grade, participation in the A+ Program, creation of the 6-year plan of study, and completion the high school scheduling process. If you have any questions or are unable to attend this event, please contact Mrs. Casey at caseyl@cleverbluejays.org or the 5-8 office at 743-4820.